We have added a further Corgi classics Set to the Museum Collection. 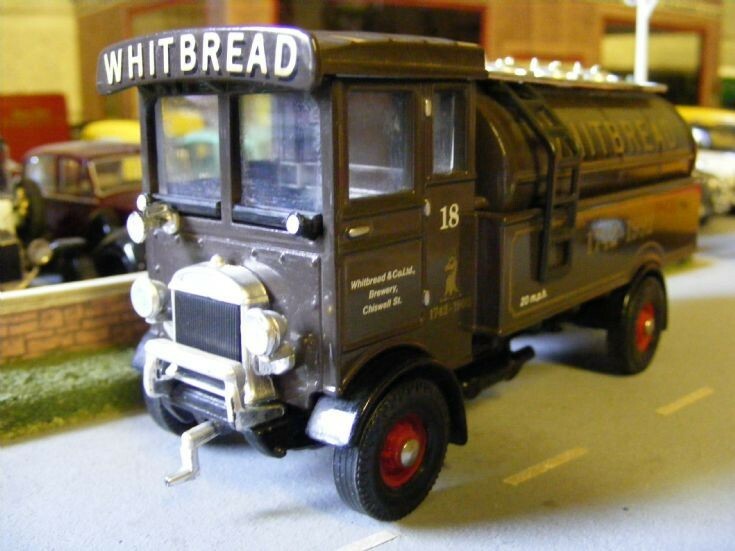 It contains both this AEC 508 Cab Over Tanker and a Thornycroft A2 Bottle Wagon in the livery of Whitbread Breweries. The Set was produced to celebrate the 250th Anniversary of Whitbread.